By this time the boys were fully awake with tons of energy. It was time to drop Gio off at school and take Seppe to speech therapy. After that we had to make a stop at the post office to drop off a couple pairs of shoes Ben had sold. I was pretty tired and so was Seppe so we wound up taking a nap :-) I got up to do my workout an hour later but I let Seppe sleep some more because he just looked so comfy and sweet. It was Fire 45 today – I doubled checked to make sure that was what I was suppose to be doing :-) I think I like this one so much because I do so well with the first combo. It’s so much fun and you can definitely really get into it. There’s a lot of kicks in this one. My back kicks feel awkward so I have to work on those. I did the star jumps during the Fire Drill this time. I also did the tuck jumps. Stretch 10 always helps loosen me up. I couldn’t decide what I wanted to do for my afternoon workouts. I was running behind because we had to pick Ben up and drop him off at the repair shop. 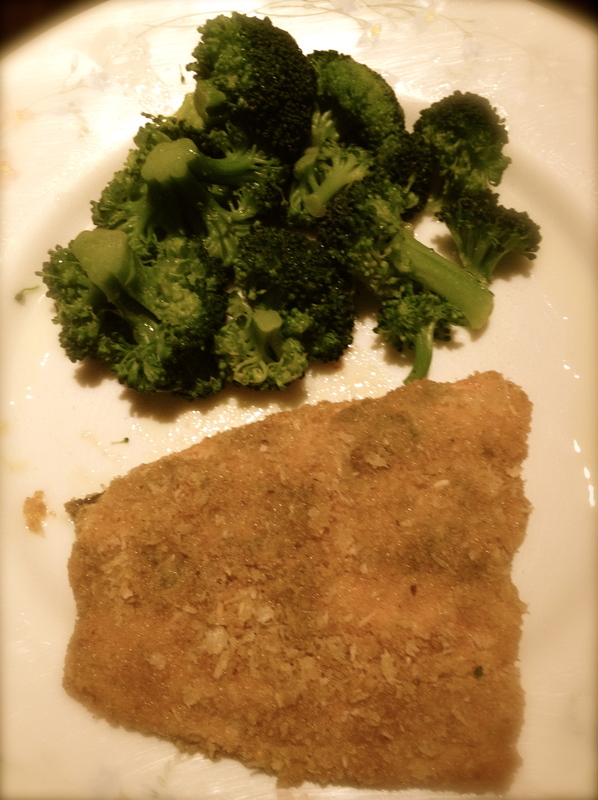 By the time Gio was done with homework, it was almost time to start cooking dinner. I wound up doing Tone It Up’s Rush Workout (20 Reps each X 3 sets) and M100’s. Going to do a 2 minute plank before bed. 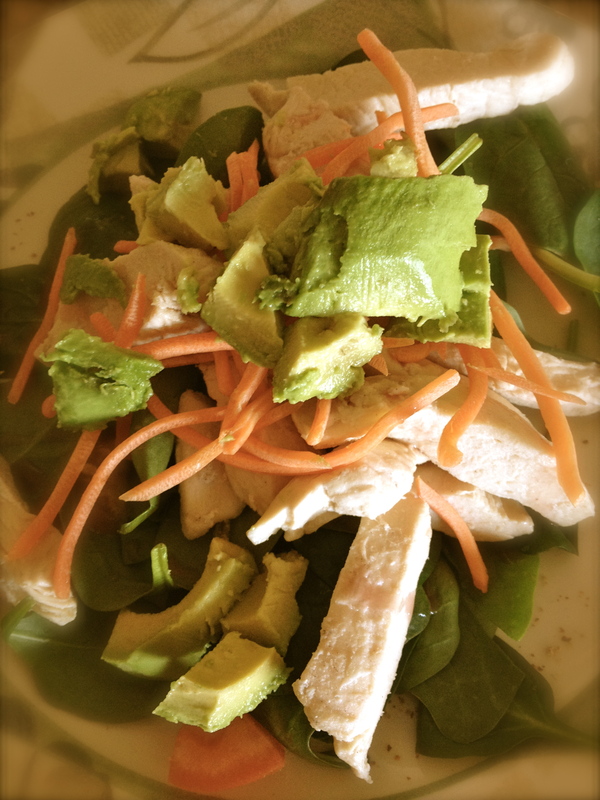 M3: Salad with spinach, chicken, carrots, and avocado. Tiny bit of Raspberry dressing. I feel that last week was super stressful and had me completely out of whack with my sleep. Even though I was able to workout – I know I could have done more if I hadn’t been so tired most of the time. This week and for the month of March, I really want to focus on pushing myself. I looked over my workout schedule and rearranged a few things. My long runs will be Wednesdays and I will adding more toning exercises. I will be working on doing my bootycall workouts. It’s starting to get lighter out earlier so I can go out for runs/walks first thing again :-) I also made a goal of drinking at least 80 oz. of water Everyday. I’m going to take it one day at a time. I know if I stay focused, I can reach my goals!